hooks 1, a photo by a1scrapmetal on Flickr. 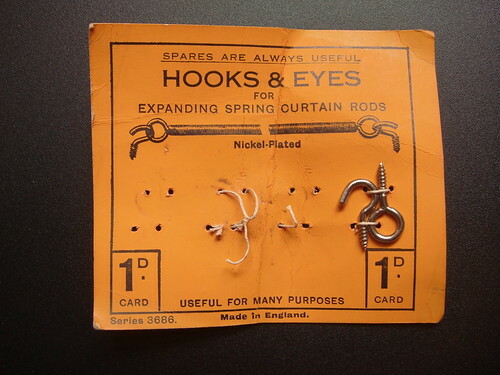 HOOKS & EYES FOR EXPANDING CURTAIN RODS. Found in a box on a boot sale at Whitegate. 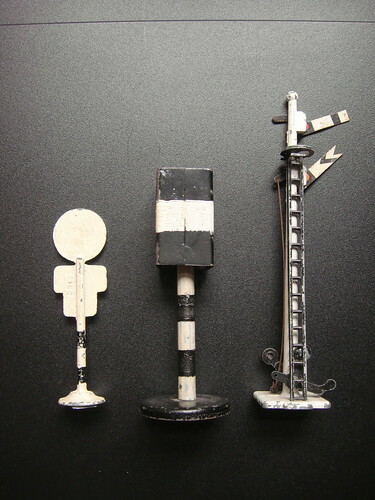 hooks 2, a photo by a1scrapmetal on Flickr. 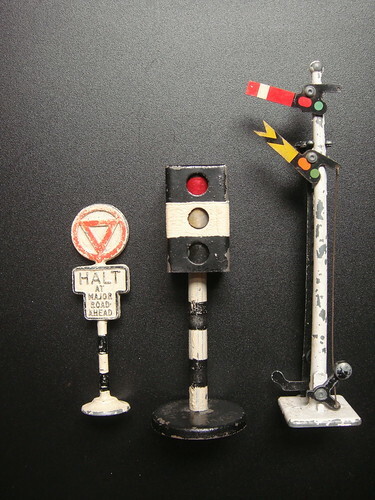 signs 2, a photo by a1scrapmetal on Flickr. On the way back up to Brighton station we found an interesting little shop. Got these three cast lead objects in there. signs 1, a photo by a1scrapmetal on Flickr. 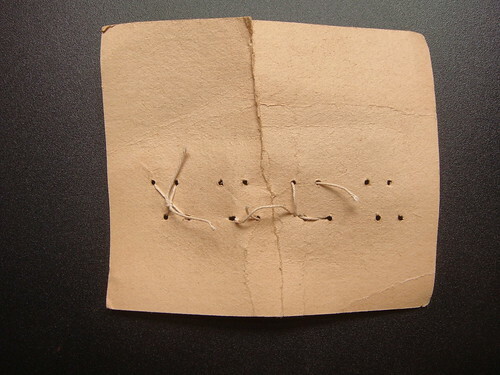 mending tape 3, a photo by a1scrapmetal on Flickr. 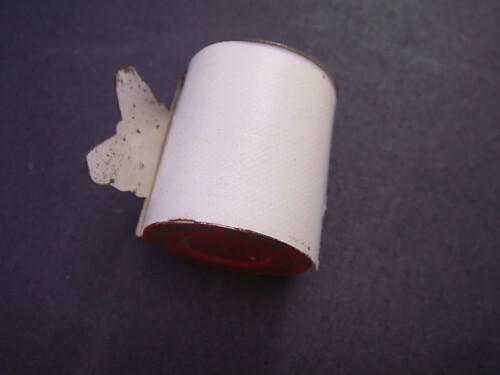 Small roll of mending tape found at Lady Heyes, Frodsham. 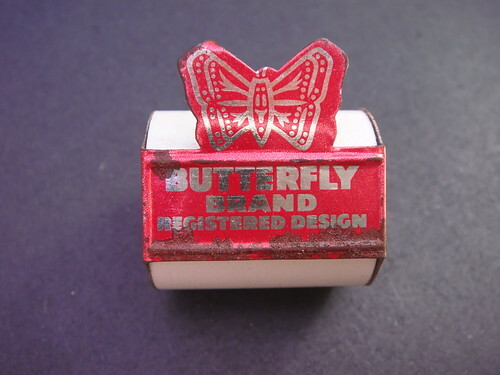 The roll holder is simply punched out of a sheet of tin and bent round to hold the roll. mending tape 2, a photo by a1scrapmetal on Flickr. 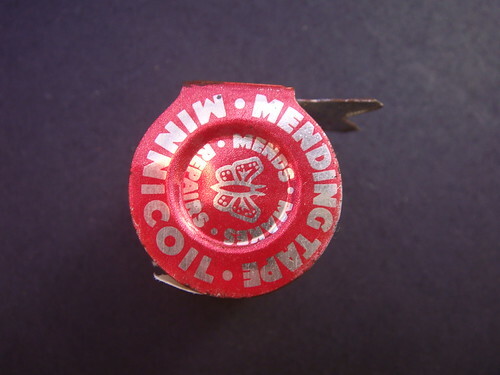 mending tape 1, a photo by a1scrapmetal on Flickr.